Energy conservation lowers greenhouse gas emissions and helps mitigate the effects of climate change. 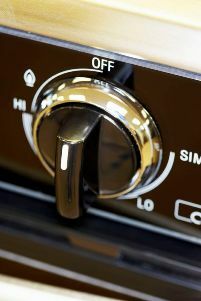 In a broad sense, conservation means using less energy, and at an individual level this can be done by modifying behaviours: turning lights off when not in use, setting thermostats lower in the winter and higher in the summer, taking shorter showers, reducing the temperature on hot water heaters, and similar. Technologies like smart thermostats or energy monitoring can be helpful in modifying behaviour. Energy conservation can also be accomplished by design and technology, for example: improved building design, insulation, glazing systems, window shades, advanced framing, daylighting, heat recovery, energy-efficient lighting or appliances, and many other approaches. In Canada, residential buildings typically require much more energy to heat than to cool and one of the most important considerations for reducing the heating load is an energy efficient building envelope that maximizes insulation and reduces air leakage and drafts. During summer months, examples of technologies to reduce the cooling load of a building would include both green roofs and reflective white roofs that can minimize heat transfer into a building. Passive solar design can also be used to maximize solar heat gain in the winter while minimizing it in the summer.